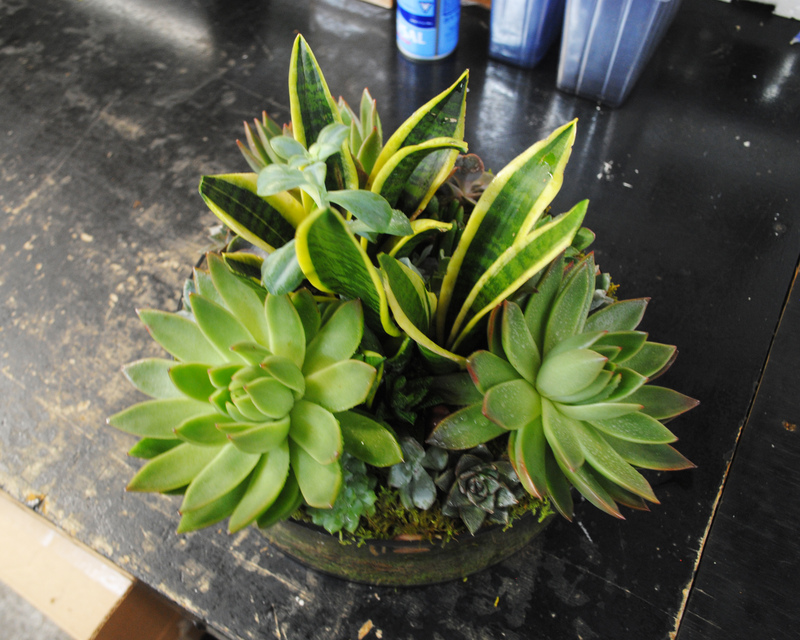 At Starbright Floral Design, we’ve recently seen a huge increase in the popularity of succulent plants and gardens. Succulents are hot! Landscape professionals and home gardeners…are expanding their plant palettes to include these uniquely functional plants. Over the last couple of years, landscape architects and designers have reported…that many clients are asking specifically for a custom-designed succulent garden. This is a big moment for succulents. Of course, Starbright has some great options to get you started with your very own urban succulent garden. 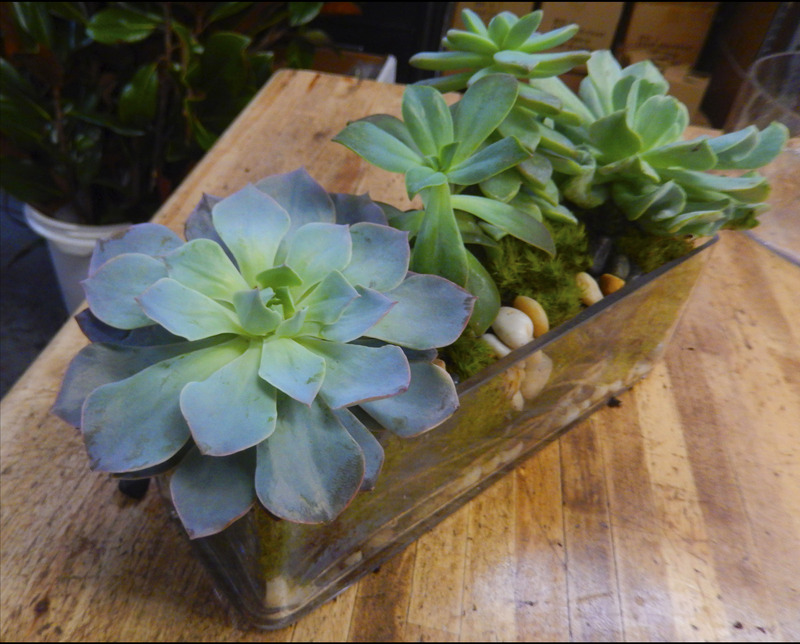 This Succulent Zen Garden comes in a handsome wooden container and would look absolutely wonderful on any mantle. Meanwhile, our Succulent Glass Menagerie would make the perfect centerpiece for a living room table. Whether you choose one of these or another beautiful succulent arrangements from our site, you’ll to know how to care for your new indoor garden. Here are some tips for keeping your succulents healthy and happy. Because succulents are made for retaining water, you can water them less than you would other indoor plants. Wait until the soil in which they’re planted is completely dry before you add any more water. In a humid climate like New York City’s in the summer, watering once every few days should suffice. Keep an eye out for overwatering by watching out for the stems constricting and turning black. While it can be difficult in an indoor setting, it’s important to give your succulent garden natural light. But be careful: succulents prefer indirect light to direct, so a spot in a nice, bright room away from direct rays should be perfect. Tabletops and bookshelves can often be great spots for this. Some succulents will do well on brighter windowsills, but always be sure to check them for any signs of scorching. Before introducing your plants to their new home give the bottom of the existing dirts/roots a bit of a scrunch. Flare the root structure out a bit. This will help it transition better into its new/bigger/better environment. This is something good to remember when planting anything anywhere. If you don’t break up the bundle they are used to having in their temporary store shells, they might be a little too shy to branch out (pun intended) into their new world. Tip #4: Don’t worry too much about temperature! Many people think that it’s important to keep succulents in constantly hot temperatures, but in fact, they can withstand cool temperatures above freezing. Since their native desert environments often grow cold at night, your indoor succulent garden should be more than able to survive both during hot summers and during the winter and at evening, when your indoor temperature may drop a bit. Succulents are a great choice for adding a fresh look to your apartment, deck, or backyard. Nothing brightes up a space like a bit of living color. Over at Starbright Floral Design will be more than happy to work with you on creating a great succulent arrangement that you can care for easily.